The New SBA (Small Business Administration) Website Kicks @ss! I suppose most of us are so jaded by politics that it would be odd to hear someone gush about a website from the Federal Government. But the new Small Business Administration website deserves the praise. 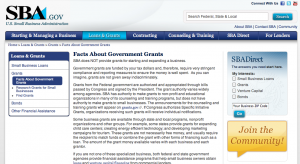 Packed with immense amounts of new content, the SBA site provides tutorials on writing business plans to detailing the types of grants offered by SBA backed programs. 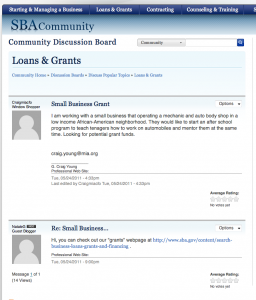 It even has a community forum where, because of the relative newness of it (or they’re just trying to get the community going) actual employees of the SBA will answer questions on the forums. But really. It is nice. Way to go Fed. You did a swell job with our tax payer dollars. This time. With answers from the SBA too?